Center for Women's Health always appreciates feedback from our valued patients. To date, we’re thrilled to have collected 24 reviews with an average rating of 4.88 out of 5 stars. 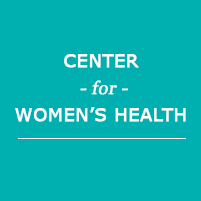 Please read what others are saying about Center for Women's Health below, and as always, we would love to collect your feedback. Cheryl is the best. She always takes her time to listen and gives you the time to ask questions and always gives you a answers in terms you can understand. She is always so emphathedic, competent and professional. Dr. Hornbuckle is the best. Always makes time to talk with you. My visits are always completed in a professional and timely manner. The whole team is a delight. I appreciate the care they provide! She has been my gynecologist since I was in middle school. Very down to earth, easy to talk to. He tells you what's going on and if you don't understand the doctor 'slang' he tells you what it means. Cheryl is the kindest, patient, and most empathetic provider. She’s the best! Cheryl and the staff are always awesome! They are the best. I have been coming here since I was 18 and am now 35. I don’t think I will ever leave. I was referred to Dr. Hornbuckle by my Orthopedic doctor. He spoke so highly of her. He was so right. I was very impressed with her thoroughness and straight forward answers to all of my questions. This kind of care is worth the trip from Wake Forest to Oxford. I LOVE CHERYL!!! If she ever leaves, I'm following her to a new doctor's office. I love the experiences I've had with them. Each visit really meet my needs. There was no rush to get me out, were really patient and understanding. Pay them a visit, you won't be disappointed. Dr Lewis is so great! He genuinely cares for his patients, takes the time to listen to their concerns, and goes above and beyond standard medical care. I’ve seen both Dr Lewis and Dr Hornbuckle st CWH and I wouldn’t trade them for anything! Thanks for taking such good care of me! Everyone is pleasant and very helpful in the office. Short wait time to be seen. Dr.Hornbuckle was recommended to me by another doctor, she takes the time to listen to any medical concerns I might have and offers real solutions . She's down to earth,and makes you feel comfortable to be there. I'm so glad Dr. Hornbuckle and her office was recommended to me. Cheryl, is friendly and always make sure you are satisfied with your visit. Also,she follows up with you when needed, in a timely manner .